Thomas Szasz said it best … “Since this is the age of science, not religion, psychiatrists (and other doctors) are our rabbis”. Szasz was hinting that doctors have replaced priests, pastors, and other religious leaders as the ones we look to for all the answers. But they don’t always have them. And, unfortunately, they sometimes express themselves in ways that are often puzzling, and occasionally downright disparaging. It sounds like I’m knocking doctors … I’m not. They provide a vital service. But I wish they’d get off their, as Szasz says, “Messiah of the Month Club” pedestals, and consider for once what they’re saying and how their deity-ish proclamations affect people. I’ve been kicking around for months what my Gastroenterologist said to me a while ago. I worked with him over 20 years ago at Cedars and hadn’t seen him in a few years. “I know one other person like you … “, he said. What he was getting at was that I was very healthy … and, even though I realized that most of the time he sees sick people … it was a kind of left-handed compliment. I’m still talking about it. If I didn’t know this guy, I might have had any of a host of reactions, from puffed-up to deflated to downright dumbfounded. As it was, I said, “Only one?”, kidded him about the way it came out, and finally thanked him for the compliment. But something is still bothering me about that remark and how I responded to it (perhaps a bit of “Messiah”-awe at work there? … just because I work with doctors doesn’t mean I’m immune to MD mesmerism); is that why I’m still talking about it? 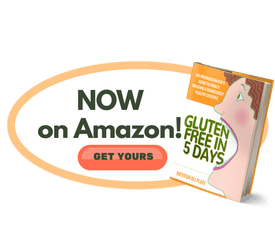 She did really well on my food sensitivity program … from the very start of her elimination diet, she got relief from nagging gas, bloating, and digestive upset and, a month out, got better and better. And a year later is still doing well. She told me then that her doctor, after several failed medication attempts for this problem, told her to … and these are the doctor’s exact words … “figure it out herself”. The doctor also told her that, if she ate more than 1200 calories, she’d get fat. Now my client is normal weight. But she shared with me that the doctor weighed about 200 pounds. A little jealousy at work there? From an almost-deity? Should We Send These Guys to Counseling Classes? But I don’t even know if they’ll go as they’re almost-canonized everywhere. At most of the facilities where I work, they clear a place of honor for them, stack up all their charts there (I need them too, and sometimes it’s a pain when doctors are in the building), and run around like nuts catering to their every need. I think it’s time that we treat doctors as human … NOT supernatural … beings who are fallible, think too much of themselves, and can say stupid stuff at times. As we all can. In our changing times, their way of working is fast growing obsolete for some problems. Yet, many of them look down from their lofty marble pedestals and brush off things they don’t know nor understand in sometimes hurtful ways. Not only psychological, but possibly physical as well. … One which I’m still blistering over. A doctor put one of my other clients on some metabolism-altering medication on the strength of three symptoms she reported … and then increased it, despite the fact that the labs indicating the concerning condition (and ones I also requested) were normal. I “googled” the three symptoms she had … turned out that WebMD lists EIGHTY-FIVE CONDITIONS that have all three. Not only that, my client had taken care of one with an easy change of lifestyle. I would never tell her to stop her medication, but did suggest some alternatives for her which she is currently doing. We have a long history of positive health outcomes together, and she trusts my judgement; she even dropped the labs in my mailbox on her way home from the doctor so that I could read them ASAP. If these three stories are any indication (and I have lots more), doctors don’t know everything … and not all of them obviously have great bedside manners. First and foremost, you have to have confidence in your doctor as they literally hold your life in their hands. So if you have any doubt about their advice, or medication prescriptions, by all means do two things: a) talk to them about your concerns and b) seek a second opinion. If you decide to get a second opinion, by all means read doctor’s reviews on the internet, weed out a few (or get referrals from friends), and even interview prospective ones (have a few laser-focused questions ready so you don’t waste their time) at your first visit to see if you have a rapport and they’re on the same page as your expectations (yes, you can do that!). Most people don’t question anything a doctor recommends … it’s that old “Messiah of the Month Club” stigma. In the book, Nutritional Issues in Cancer Care, where I wrote an entire chapter on alternative cancer treatments, supplements, and herbs, I noted studies where up to 86% of cancer patients use nutritional supplements, and up to 2/3rds of them are afraid to tell their doctors about them, sometimes with disastrous consequences. Don’t let that be you! Ask as many laser-focused questions (again, I DO respect the doctor’s role, and know they don’t have tons of time, so I write them down beforehand) as you want about labs, what they mean, why s/he has placed you on a certain medication, and what outcome s/he envisions for you. You have a right to know everything about your treatment. Oh, and bravely tell her/him that you didn’t appreciate some remark if it was as off-color as the ones I mentioned. Thomas Edison once said that “The doctor of the future will give no medicine but will interest his patients in the care of the human frame, in diet and in the cause and prevention of disease.”Click To Tweet Well, Edison is long gone. And now is his future. And doctors are still not doing this … as a matter of fact, the use of medicine has thrived instead of tired. So what’s your alternative? Find another way. Find out a lot about your own health issues (from good sources puleese! ), hire a health coach, join reputable groups aligned with your health philosophy, and read, Read, READ! PUT THE POWER OVER YOUR HEALTH IN YOUR OWN HANDS (gosh, I feel like AllState! ).Click To Tweet And, most of all, find professional practitioners who are aligned with this care. The bottom line … when you advocate for you own health, everyone, including your doctors, will know you mean business! Previous Post: « Coconut Milk Does Not a Healthy Diet Make!